When placed in an acoustic field, small objects experience a net force that can be used to levitate the objects in air. 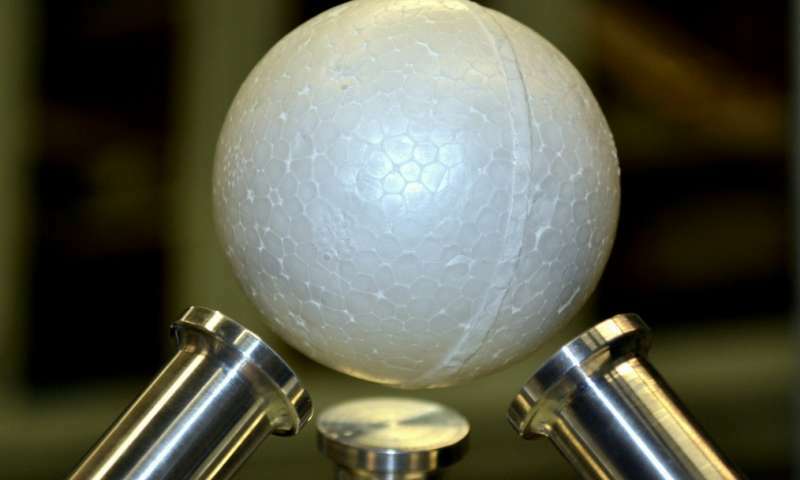 In a new study, researchers have experimentally demonstrated the acoustic levitation of a 50-mm (2-inch) solid polystyrene sphere using ultrasound—acoustic waves that are above the frequency of human hearing. The demonstration is one of the first times that an object larger than the wavelength of the acoustic wave has been acoustically levitated. 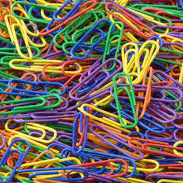 Previously, this has been achieved only for a few specific cases, such as wire-like and planar objects. In the new study, the levitated sphere is 3.6 times larger than the 14-mm acoustic wavelength used here.